A chocolate bar laced with salty bacon bits is proving a hit in Britain, at least with some people. Selfridges, the only store in the UK that stocks the American product reportedly sold out its’ entire stock within 48 hours, according to the Daily Mail. 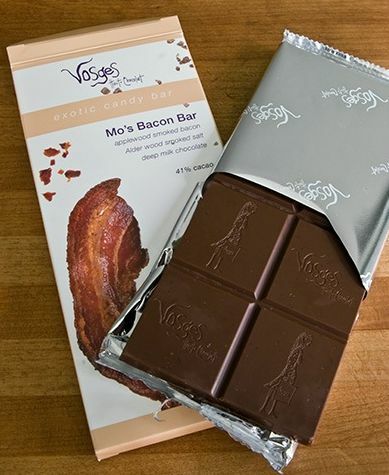 Dubbed Mo’s Bacon Bar the odd concoction sells for a pricey £5.99 for a 3oz bar.